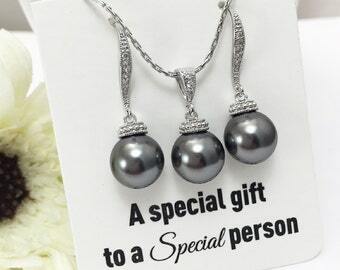 Timeless, sparkly and very elegant charcoal pearl earrings and necklace made with the Swarovski Dark Grey pearls. 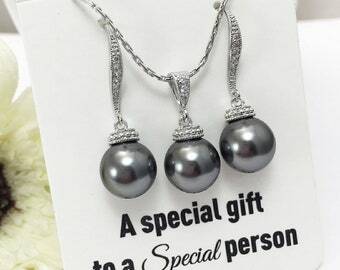 Perfect for weddings and special occasions but also a great addition to any jewelry collection. 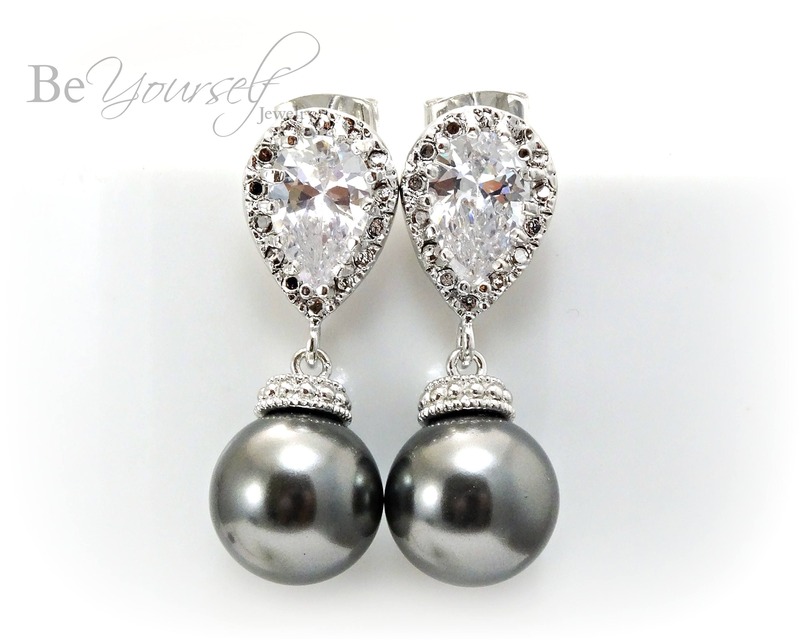 These earrings are lightweight and come with large backings for extra comfort and support.